BIG HELP: The Aboitiz group team members and volunteers join hands to deliver the relief goods for the typhoon victims. The super typhoon Yolanda had caused tremendous damaged to the lives and properties of people in Visayas particularly in Cebu, Tacloban, Ormoc and Samar, Leyte. The Filipino people and other countries were united to bring back “hope” again to the faces of these typhoon victims. 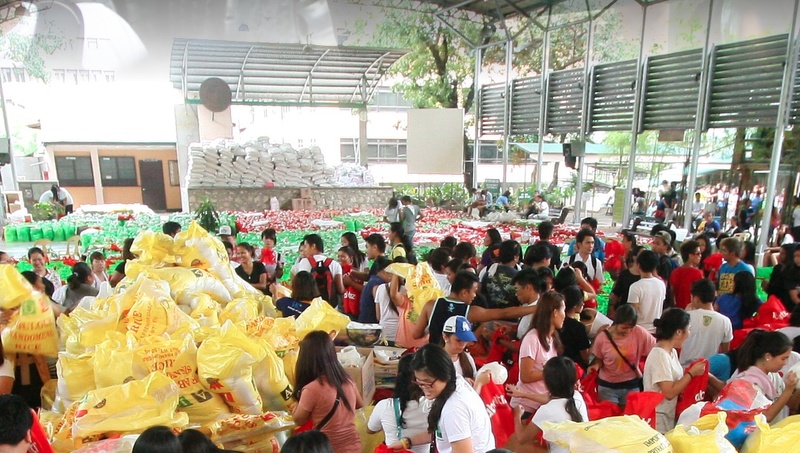 In response to the urgent needs of the evacuees for food, water and clothing, the Aboitiz Group pooled its resources and efforts to be of help to the these people who are hungry and thirsty for help. Through, its social development arm Aboitiz Foundation has raised a total of Php 188M for Yolanda relief operations as of November 26. The group earlier marked a target of 200 Million from various corporate and individual sources, making its campaign one of the largest donations drive run by Philippine conglomerate. The AboitizPower Distribution Utilities also send 77 linemen contingent to help repair the electrical transmission lines and poles, and to facilitate restoration of power in affected areas. Locally, Cotabato Light, a member company of Aboitiz group had raises more than P370thousand of cash, aside from non-cash items/used clothing. The said donations were coming from the company’s operational savings, employees’ personal contributions and from other concern citizens. “The devastation that Typhoon Yolanda has brought to our brothers and sisters in the Visayas and Palawan is beyond one's imagination. Many lives were lost and many are rendered homeless, hungry and sick. People are getting desperate and they badly need all the HELP. Thank you very much for your generosity. Let's continue to pray that the surviving victims of typhoon Yolanda will always feel the hope amidst this time of crises in their lives.” Cotabato Light COO Rodger Velasco said. Likewise, Cotabato Light and Power Company would also like to thank those who responded to its call for help for the Typhoon Yolanda victims – the Junior Chamber International – Cotabato Jaycees, Inc., Notre Dame Boys & Girls batch ’90 and other concerned individuals. Until this day the relief operation is still ongoing. For those who wanted to help and donate, you may deposit your cash donations to Aboitiz Foundation UNIONBANK SA#10026-1070944 / City Savings Bank SA#200-20031301.